The National Scientific Council on the Developing Child is a multidisciplinary, multi-university collaboration committed to closing the gap between what we know and what we do to promote successful learning, adaptive behavior, and sound physical and mental health for all young children. Established in 2003, the Council translates science to build public will that transcends political partisanship and recognizes the complementary responsibilities of family, community, workplace, and government to promote child well-being. 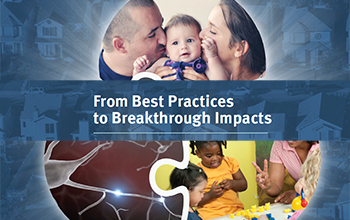 The Council generates, analyzes, and integrates scientific knowledge to educate policymakers, civic leaders, and the general public about the rapidly growing science of early childhood development and its underlying neurobiology. It produces working papers, briefs, videos, and other communication tools through a knowledge synthesis and translation process designed to overcome common barriers to understanding and applying the science. 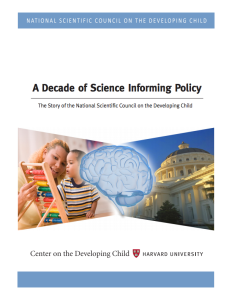 Council members frequently present the science and its implications to national, state, and community leaders, and engage with the media to help inform the public policy discourse around child and family policy. 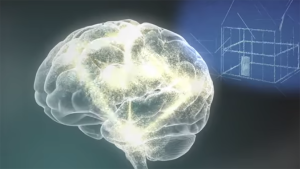 The Council’s interdisciplinary group of distinguished members includes leading researchers and scientists representing the fields of neurobiology, immunology, molecular biology, endocrinology, psychology, economics, social policy, and pediatric medicine. They are based at private and public research universities in the United States. This retrospective report tells the story of how the group came to be, what its impact has been, how its members work, and why the Council has made a difference. The following resources were created by the Council to marry the science of early childhood and brain development with state-of-the-art communications research designed to effectively translate that knowledge for nonscientific audiences. The Project for Babies was an initiative of the University of Minnesota Center for Early Education and Development. In 2012, the Project for Babies developed an educational video on the importance of the early years. The video features Council Member Megan Gunnar, Regents Professor and Director of the Institute for Child Development at the University of Minnesota. Browse the full list of resources produced by the Council and the Center. Filter by media type or topic.